Research Areas: Hydrogeology and environmental geology. Active research involves: (1) groundwater geochemistry and microbiology; (2) in situ bioremediation of metals-contaminated groundwater; (3) basin hydrology modeling; and (4) earthquake hydrology. 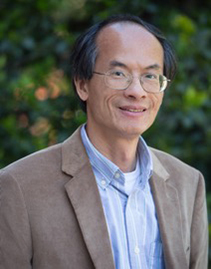 Ming-Kuo Lee teaches undergraduate courses in Physical Geology and Environmental Geology. At the advanced undergraduate and graduate levels, he teaches courses in Hydrogeology and Groundwater Modeling. These courses emphasize principles of hydrological sciences and their applications in environmental protection and in petroleum and minerals exploration. Dr. Lee's research spans many areas in hydrogeology and environmental geology. Active research involves: (1) groundwater geochemistry and microbiology; (2) in situ bioremediation of metals-contaminated groundwater; (3) basin hydrology modeling; and (4) earthquake hydrology. Keimowitz, A., Yan, Z., Lee, M.-K., Natter, M., and Keevan J., 2016, Sediment core sectioning and extraction of pore waters under anoxic conditions, Journal of Visualized Experiments. 109, Issue 109; doi: 10.3791/53393. Wang, Y., Gu, B., Lee, M.-K., Jiang, S., Xu, Y., 2014, Isotopic evidence for anthropogenic impacts on aquatic food dynamics and mercury cycling in a subtropical wetland ecosystem system in US, Science of the Total Environment, 487, 557-564. Looper, J., Cotto, A., Kim, B., Lee, M.-K., Liles, M.R., Ni Chadhain, S.N., and Son, A., 2013, Microbial community analysis of Deepwater Horizon oil-spill impacted sites along the Gulf Coast using functional and phylogenetic markers, Environmental Science: Processes and Impact, 15, 2068-2079. Natter, M., J. Keevan, A. S. Keimowitz, B.Okeke, Y. Wang, A. Son, and M.-K. Lee, 2012, Level and degradation of Deepwater Horizon spilled oil in coastal marsh sediments and pore-water, Environmental Science and Technology, 46, 5744-5755. Saunders, J.A., Lee, M.-K., Shamsudduha, M., Dhakal, P., Uddin, A., Chowdury, M.T., and K.M. Ahmed, 2008, Geochemistry and mineralogy of arsenic in (Natural) anaerobic groundwaters, Applied Geochemistry, 23, 3205-3214.